Intuitive, empath, clairvoyant, clairaudient, medium, spell-caster, autowriter, tarot reader, astrologist, palmist, gemologist, spiritualist, Indian tantra and dhyaan yoga expert. Perform divine energy healing and blockage removal. YES. YOU CAN CHANGE YOUR DESTINY AND I CAN SHOW YOU HOW. One of the top 19 Most Gifted psychics in the world. 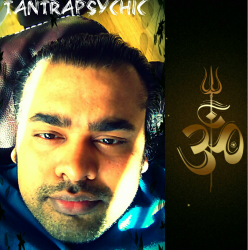 My real name is Gagandeep Khosa and my professional name is Tantrapsychic. 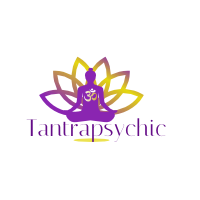 This is my professional psychic website, you can find my shop here. I have also started a blog (Tantra Tutorial) on this website to teach The Real Ancient, Sacred & Secret Art of Tantra, Mantra & Spirituality. I am a well Qualified Physiotherapist (B.P.T, M.P.T) with a 7 years of clinical work experience. Soon to become an Author- Starting with my professional knowledge and experience as a physiotherapist. I am working on a book on weight loss based on my successful ways used during my career as a physiotherapist. I am very skilled, multi-talented and creative. I need not have to be dumb to work as a psychic.. Rather people with very high intelligence level are the ones who can easily tune in to their gifts and rationalize their intuitions more precisely than others. Feel free to contact me if any thing confuses you even after reading the Frequently Asked Questions page or if you have questions regarding my blog or any services. You can contact me via any of the following platforms. By using the contact form . You can also Subscribe to my mailing list. I am not a life coach or inspirational adviser. There are many advisers who claim to be a psychic and when u just get a rational advice instead, you feel cheated on your money. A true psychic do not need to knows the whole situation and what you feel about it, as then even a child can make a guess of the ending of that story. READINGS AND SUGGESTIONS COMING FROM ME WILL BE PURELY BASED ON MY PSYCHIC ABILITIES. I do not need full names, date of birth, place of Birth etc. I will not even ask you to tell me the whole situation and what you feel about it for a psychic reading. Visit Gagandeep Khosa's profile on Pinterest. Success story of clearing a haunted house & Black Magic by Tantrapsychic. With evidence . 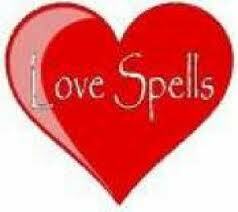 ﻿﻿Casting Love spells: - note I do not cast spell until I am allowed to do so in a particular case by my guides ( So before even placing this order you need to have a psychic reading for the person you love. Then ask me to see if i can cast a love spell in this case or not. ) Also there are 2 different types of loves spells i offer. For the ritual to Bring Real love in your life- I do not need any permission. You can use the button given below to support my website and blog financially. Important:- Please add my email address to your address book from avoiding it to be going to your spam folder.